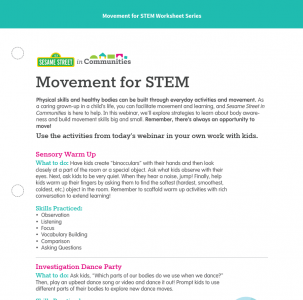 The Big Idea: Providers and kids can get active, have fun, and learn together through movement. Kids are natural scientists. They explore the world around them every day. 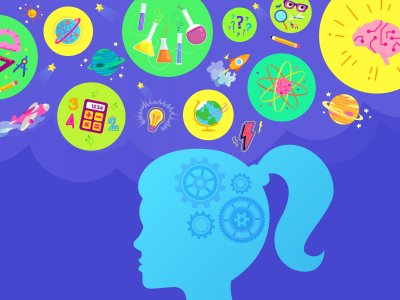 Questioning, exploring, investigating, and experimenting are all wonderful ways to learn more about STEM (Science, Technology, Engineering, and Math). 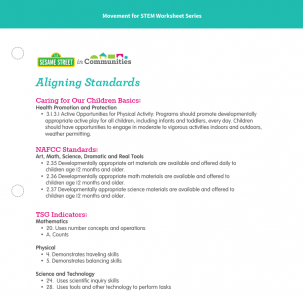 In this webinar, we’ll learn some unique ways to use everyday materials and activities – and our bodies! – to explore STEM concepts.